The father of a 16-year-old Ohio boy who died after being trapped in a minivan asked authorities Monday why responding officers didn't get out of their cruiser. Ron Plush also asked at a Cincinnati City Council meeting whether exact GPS coordinates existed for his son's location. Plush promised to help improve the city 911 system but also said he would be asking difficult questions. 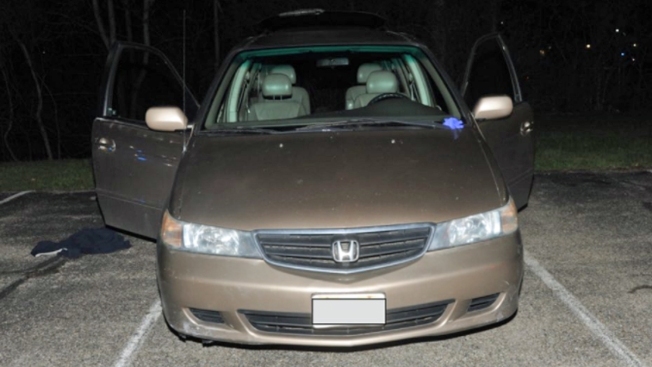 Plush found the body of his son, Kyle Plush, on April 10 inside the 2004 Honda Odyssey in a parking lot near his school nearly six hours after Kyle's first 911 call. A coroner says he died of asphyxiation from his chest being compressed. It is suspected that the foldaway rear seat flipped over as he reached for tennis gear in the back. Kyle Plush first called 911 at about 3:15 p.m. Tuesday, saying he was stuck inside a van in "desperate need of help." But he was unable to hear the dispatcher's questions, police said, and a callback to his cellphone after it disconnected went to voicemail. "Kyle will give us the strength and guidance to get the job done," Ron Plush said. Mayor John Cranley told Plush he would receive written responses to every question and called the police report on the case incomplete. Cranley opened Monday's meeting by saying the city failed in its response to the 911 call. "In all cases we can do better, we should do better, we must do better," Cranley said. The city's computer assisted-dispatching system experienced difficulties throughout the call. Kyle's phone was in his pocket as he called, and he was using "Siri" caller technology to call 911. Kyle was not able to give back and forth answers to a dispatcher, and the phone disconnected his call. Officers initially believed they were searching for a woman locked in her vehicle needing help. The boy's aunt, also attending Monday's meeting, noted that Kyle Plush's voicemail included his name, and was not a generic message. If authorities knew the name "Kyle" and that the call was from someone near a school, they had enough to do a proper search minutes after the call was received, said Jodi Schwind. The sheriff's office, which also dispatched a deputy that day, and the Hamilton County Prosecutor's Office, are also conducting investigations.